The purchase was made without any problem. Am very satisfied. Very good service. I had already heard about Antwerp, Belgium being known as the "City of Diamonds". Before coming to Europe, I did some research online and that’s when I found BAUNAT. When I arrived in Antwerp, I did a thorough comparison in the Diamond District; I realised that BAUNAT is the best value. In addition, they also have beautiful blond sales consultants who can speak fluent Chinese. It was fascinating. Marilyn Monroe was well aware that diamonds are a girl’s best friends. 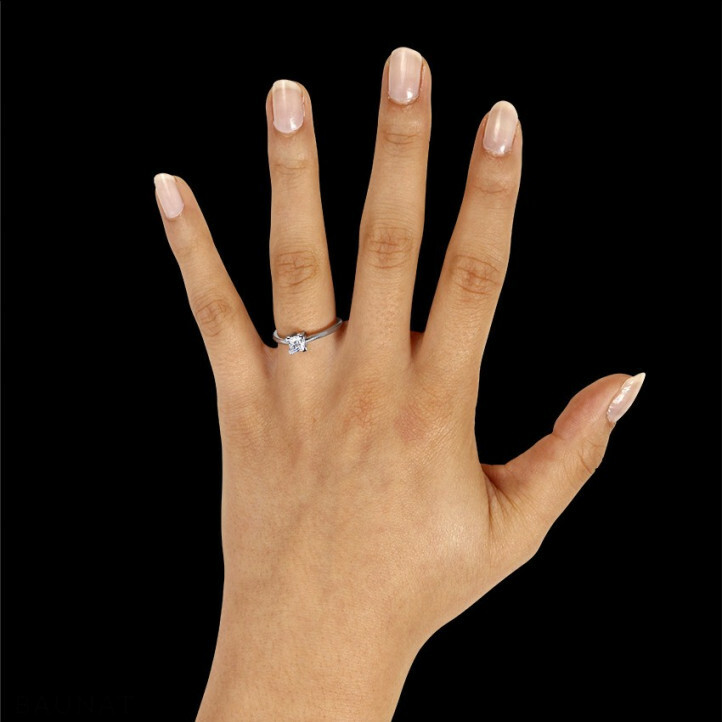 Looking for a similar model, inspired on her legendary engagement ring? Take a look in the BAUNAT collection.